Balance of the spine and nerve system is the foundation for optimal whole body healing. Balance of the spine and nerve system is the foundation for optimal whole body healing. Physical, chemical, or emotional interference to the nerve system at any age can seriously interfere with this balance and expression of life. Vertebra can misalign out of normal joint position, and structurally interferes with the nerve system. This misalignment is called a vertebral subluxation. It causes tension in the nerve system and spinal cord that is detrimental to the healing of the body. Our objective in chiropractic is to adjust the spine to allow correction of vertebral subluxations that interfere with brain function, cord function, and the cell function of the body. 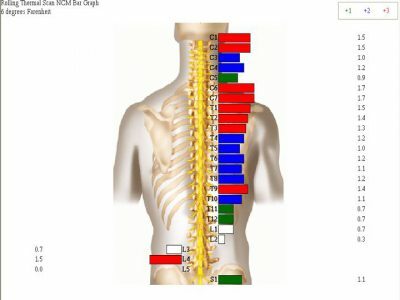 The method used by the chiropractor to correct vertebral subluxations is called a chiropractic technique. 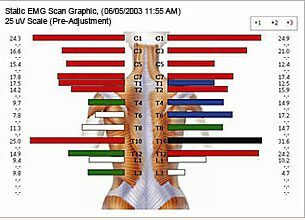 There are three categories by which all corrective chiropractic techniques can be classified: segmental, tonal and postural. At Life Expression Wellness Center, you will experience a tonal type of adjustment. A tonal technique views the spine and nerve system as expressing a tone of balance. Life is best expressed when there is harmonious tone, when there is resonance throughout the body. Like tuning your guitar to the right tune requires just the right amount of balanced tension along the string, our joy is to tune your nerve system to just the right amount of ease specific to the needs of your nerve system. Chiropractic care is a family affair! Why keep a secret to just one person? 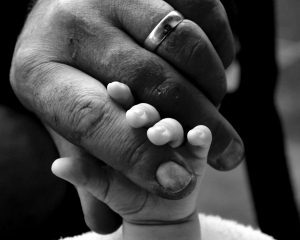 At Life Expression, families enjoy and cherish the benefits of balance in the spine and nerve system, and the unique gift this offers to each family member, from gentle birth to graceful age! A tonal adjustment is a gentle, low-force correction by hand, employed to allow correction of the vertebral subluxations and balance of the meninges (the brain, spinal cord, and spinal fluid). “Tone” is used to denote a normal degree of vigor, tension, activity, strength, and excitability of nerves and muscles. A tonal adjustment is designed to allow the spine to correct vertebral subluxations and to allow the nerve system to balance to the optimal tone for function and healing. Balance of the meninges complements and stabilizes the spinal adjustment and allows more optimal balance to occur. During a tonal adjustment, no strong manual force of correction is applied to the body. This type of adjustment is safe for all ages – children through senior citizens. It is very effective for those who structurally require a more gentle corrective chiropractic technique. Our objective is that you achieve and maintain structural balance for optimal neurological integrity throughout your lifetime. To serve you with quality chiropractic care for you and your family, we have equipped the office with state-of-the-art chiropractic equipment, an X-ray machine, and adjusting tables. 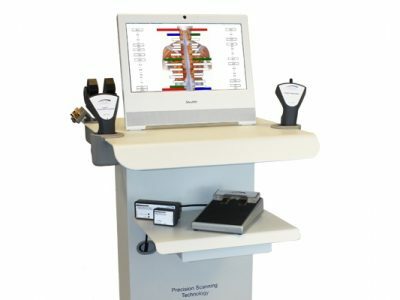 We have also implemented state-of-the-art technology called the Insight Subluxation Station. This instrument will help us to detect and objectively measure disturbances in the nervous system, as well as document and monitor your progress of care. This measures the amount of current in the muscles along your spine. Vertebral subluxations disturb the function of the nerve system causing an abnormal amount of electrical current flowing to your muscles. The symmetry scan identifies muscle imbalance caused by an abnormal amount of electrical current in the muscles on either side of the spine. The abnormal muscle pattern on the scan revels an increased amount of tension on one side compared to the other side. This scan measures temperature differential on one side of the spine compared to the other. When there is disturbance to the nerve system, the blood vessels are disturbed. That can cause the body’s thermostat to produce an imbalanced temperature. The central nervous system controls the blood vessels and the organs and glands, known as the autonomic system. This thermal scan provides information regarding the autonomic system. The Insight Subluxation Station will look at every nook and cranny of your nervous system and will give a “snapshot” of the stress that is being experienced. Regardless of how good you feel, it can detect any hidden patterns of accumulated stress in your body. The Insight Subluxation Station will help us detect nerve disturbance, document and monitor your progress, and develop recommendations for the appropriate chiropractic care you need. The goal of chiropractic is not the diagnosis or treatment of disease. Chiropractic is a unique healing art with the objective to locate, analyze, and allow correction of vertebral subluxations. This allows restoration of optimal neurological function and proper spinal biomechanics of the human frame. Subluxation correction allows optimal function of the nerve system without structural interference. This is very important for optimal expression of the body’s innate ability to heal and express its full potential. 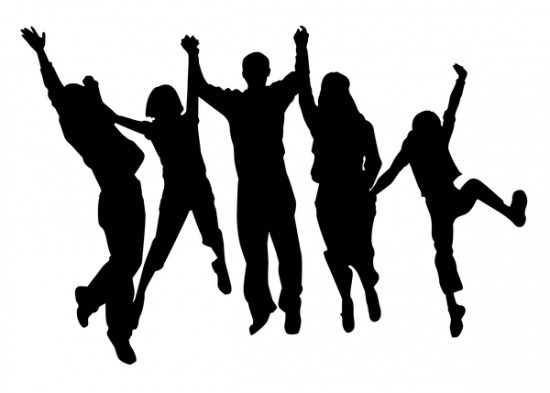 The staff of Life Expression Wellness Center is committed to a special vision. We envision a world free of nerve interference, through the correction of vertebral subluxations for the best expression of each person’s human potential. We are committed to serving all people with chiropractic care throughout their lifetime. Chiropractic is a healthy lifestyle decision made by many families. We recommend that you be adjusted and balanced as long as you want to express the best neurological integrity of your lifetime. Your spine and nerve system can experience interference from physical, emotional, and chemical causes on a daily basis. It is wise to maintain structural balance for the best adaptation possible. This is vitally important for the best expression of physical, mental, and emotional well-being. Our mission is to serve our community with the highest-quality family chiropractic care so that each person may realize their full human potential. We encourage you to participate in this most important and noble mission.